HOPI Water Project: Water is Life! Starlight Projects Foundation hasn't added a story. This project is about so much more than just the water. Water is in everything. It is everywhere. Most of our physical body consists of water. And part of the problems arising from the water is the inability to self-grow food. A virtual Food Desert has been created as a result of the water problems, thereby leaving behind other problems like malnutrition, obesity, diabetes, birth defects, ill health, and overall shortened longevity. This way of life is NOT in harmony with the Creator. Hopi land is comprised of three Mesas with a population of about 6,946 (United States Census Bureau). There are a total of 13 villages about 5600ft elevation in the arid deserts of Northern Arizona, in the four corners area. The three Hopi mesas are mostly within Navajo County, as well as a portion of Coconino County, and remotely situated about 56miles from any major city in all cardinal directions. Winslow, AZ sits about 1hour to the South. Starlight Projects Foundation has committed to the HOPI Water Project on the HOPI Native American Reservation in order to remediate the water contamination problem of Uranium and Arsenic of the aquifers that feed into the springs and wells used for ceremony and prayer, drinking and farming. With this project we hope to bring worldwide solutions to the issues we face locally of contamination and shortage, by combining modern technologies with ancient wisdom, creating new methods for remediation, abatement, and conservation. In bringing about change we hope to implement various techniques to maintain a self-sustaining lifestyle module that is also in tune with indigenous spiritual directives and way of life. We choose “Water” because “Water is Life”. Without water, we have nothing, and everyone and everything dies. 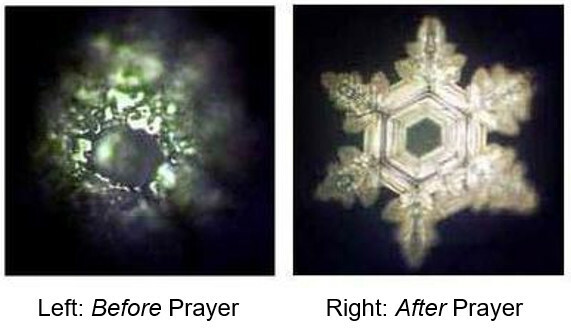 It is our belief that water is alive, and carries a “program” to nourish us and heal us. When the water is alive it produces life and creates growth and unity in our consciousness as a people. The Hopi People are living in the bellybutton of the world. Keepers of the sacred knowledge that belongs to humanity and the world. Keepers of the Old Ways and Traditions, with instructions for living in harmony with the Earth Mother, and Grandfather Sky. It is our duty to help bring harmony to this land once again, as it is a reflection of our state of being in the world. 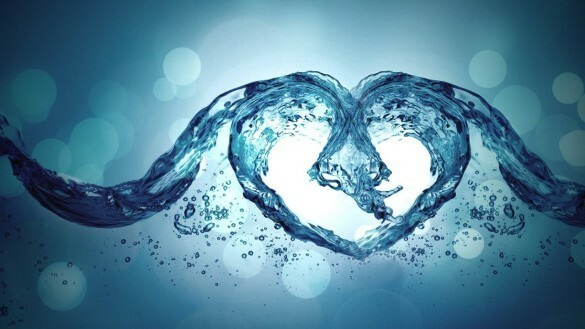 We must build an oasis that will heal the land, and reawaken the spirit of the water. Changes made here will echo and ripple throughout the world and the human collective consciousness. All the aquifers are connected, they are like your body with all kinds of vessels and pumping systems. We come from the ocean, fresh. When we die, we go back to the ocean of the cosmic sea. This is the wisdom of the Elders. WATER IS LIFE... or so it should be! Besides drought, and the obvious problems that come with having no water delivery infrastructure, including transportation, or means, the HOPI reservation is now struggling with the water sources that are available bearing radioactive contamination with Uranium and Arsenic. And no other immediate, close, accessible, constant, and/or dependable source of water is available on a constant basis. While the tribe maintains a water treatment plant, chemical additives are not a solution the Spiritual Leadership and majority of the Hopi people are in agreement with. In addition, one assumes much when potable water is a necessary component of receiving this “treated water”. Most people do not have water delivered via pipes or ‘public water system’, because of how remote they live outside the small villages, and instead haul water from the well, like their ancestors did before them. 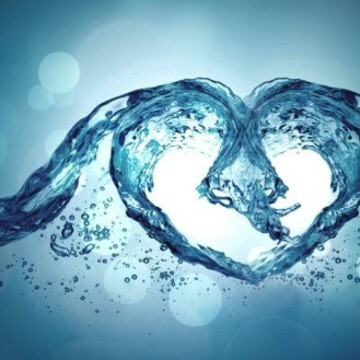 In order to remediate the water problem we have devised, along with the help of brilliant volunteer scientists, tribal, and spiritual elders, a method not of purification via the traditional “Filter” everyone offers as a Band-Aid solution, but instead a more permanent solution that combines modern technology with our traditional spiritual methods and ancient technologies as well. We call it “Structured Water”. The idea behind structured water is that water naturally flows through rocks, rivers, valleys, and mostly likes to maintain a free flow. Water is also used to being exposed to the elements, and to the stations of the year, and to the cycles of day and night. All of this combined, is input or “programming” in modern terms, and it tells the water where it is, where it came from, and where it’s going. When we take water, and place it in pipes where it never sees the sunlight, and take away all the environmental inputs… we are left with “dead” and unnatural water which in turn makes us sick. In addition, the fact that Uranium is being mined on the reservation, and that water is being used to move the ore downhill, creates a situation where the contaminated water seeps back into the ground and produces concentrations that infiltrate aquifers. Displacement of earth that is happening due to mining is also causing a problem, as it is making the naturally found arsenic in the ground, begin seeping into the water reservoirs as well, via the same means as the uranium. THE plant will allow us to build and accomplish a combination of technologies method, and the goal is to reproduce this project into other areas and native lands in a cultural exchange for the betterment of all people. The Word Hita’nangwa in Hopi language means to take initiative to take care of something without being asked, instructed, or reminded. Once accomplished, the water will once again be reminded of its original “program” to heal and nourish, instead of killing us as it is now. We are experiencing an overwhelming amount of birth defects and miscarriages, in addition to SIDS and other diseases that plague us such as Diabetes and Cancer. According to our tribal spiritual leaders, all of this is attributed to the “Dead” water we are ingesting. And the spirit of the water must be restored in order for us to live and survive as people. The words Natwanhoyum Tunatya in the Hopi Language means The Divine Plan for Young Planting Farmers. With this project we hope to accomplish a transition into creating more variety in our protein and greens and vegetable intake. The advantage of the Aquaponic scenario presented by scientists will allow us to breed fish for consumption and also greens and vegetables to grow year round, in which we can continue to teach the youth and adults how to cultivate and produce these foods for themselves. We wish to create farm to plate ideas in people’s minds, and once again return to the natural ways we were given by the creator to survive, thereby eliminating dependency on genetically modified produce and foods filled with preservatives and additives that are the main source of our health problems. Natwanhoyum Tunatya is a project to maintain the Balance of Life. 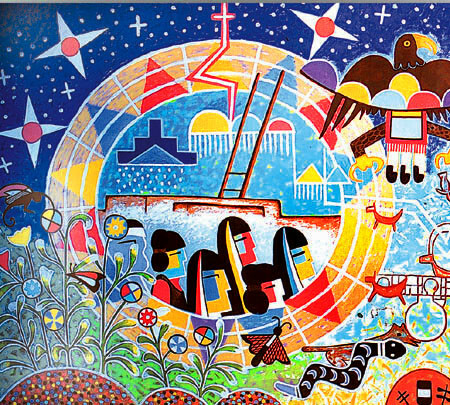 The Hopi Way of Life is extremely complex and often misunderstood in today's society. The Hopi Elders struggle to maintain and uphold the sacred instructions of Creator. It has become more apparent that redirecting the youth in the Sacred Balance of Life and the Hopi traditional values and culture is needed. In our Tunatya we must begin bridging our modern way of life with technology, and Hopi traditional farming to accommodate the changing world. The benefits of solar power energy/drip irrigation will support the need of eating healthy organic foods and in addition, expose the Hopi youth and people to a better quality life through alternative energy and resources. It has become a practice of the Hopi to purchase produce such as sweet corn and other products for Hopi ceremonies. The Natwanhoyum will continue the practice of dry farming Hopi seeds, such as com, Hopi Squash, melon, beans, etc. 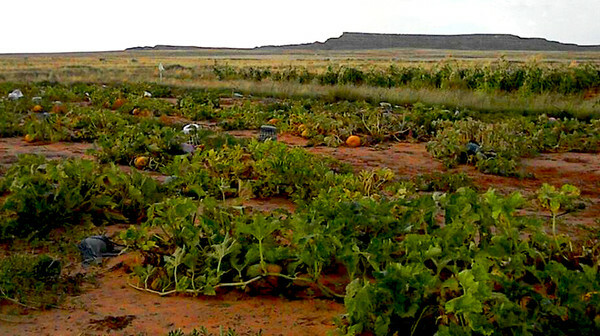 With drip irrigation, the project hopes to provide produce to the Hopi ceremonies by creating a garden of organic greens that would be distributed among them. 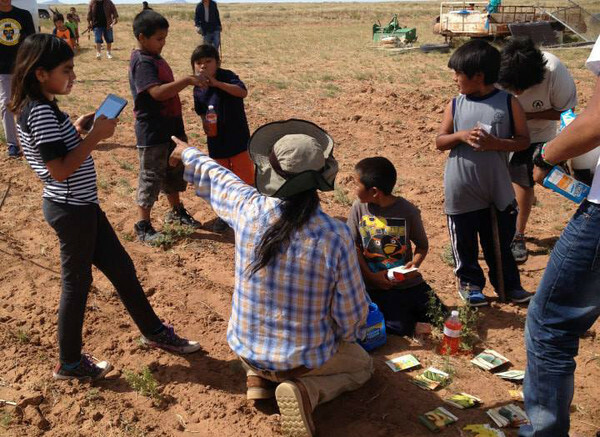 This project serves the Second Mesa youth by providing them with knowledge in fundamental principles of traditional Hopi dry farming methods, other methods of farming, health benefits from eating locally grown food, and self-sustainability methods. This project promotes building cultural awareness in Hopi traditions and language, arts and crafts as well. Hopi Spiritual leadership (Elders) that have sanctioned this project believe that the knowledge gained through these programs will help encourage youth to become stronger and healthier citizens, to respect the land, to work together in a community, and to pass this important information on to future generations so that it will not be lost. We wish to engage in this new movement for Health and Nutrition, Environmental self-sustaining methods, and modern technology that allows us to be self-sufficient. The idea for the underground seed bank will enable HOPI to once again cultivate and store, as our original directive by Creator was given when the Hopi people were given this land to care for, thousands of years ago. 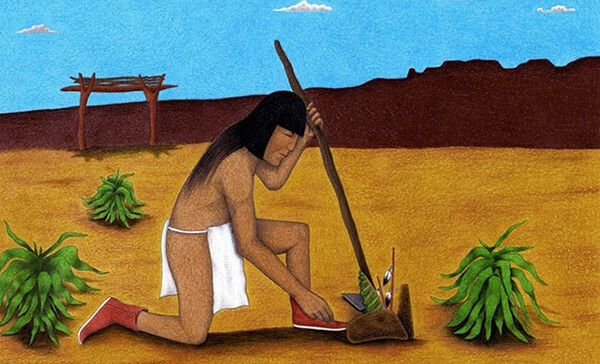 In a community setting we wish to encourage learning and empowerment to produce small replicas for individuals that wish to continue farming and producing their own foods, and in this manner, help restore the Hopi Way of Life. It is our GOAL to have the Aquaponic technology integrated into our seed bank/greenhouse that will be built with specifications from our engineer halfway into the ground and halfway outside, in order to survive the high-speed winds that we encounter in our region on Hopi Land. Since we will be digging to build into the ground, we will take advantage of this and dig a “seed bank” underground that will be temperature controlled through various methods that are self-sustained. A lab will be set-up for teaching and practice farming methods according to HOPI traditional ways. It is important to teach nutritional values as a result of the Aquaponic Technology, not only to children but also adults. The program will be open, from Hopi land, to any and all Native Americans that wish to participate, regardless of age or gender. We have in this way secured instructors in our elders as volunteers and parents that will learn along with their children as well. The Aquaponic Greenhouse will house fish and greens that we will be able to produce year round. Water from the system will be recycled and used for the “earth” planting as well. All participants will be placed on a schedule of rotation for care of the fields and greenhouses and all families will benefit from taking home that which they have helped to bring up out of the ground or the water. This program is self-sustained with volunteers and community donations, from participants themselves, and numerous amount of elders, scientists, and educators that have been willing to provide their time, treasure, and efforts in order to make this happen. 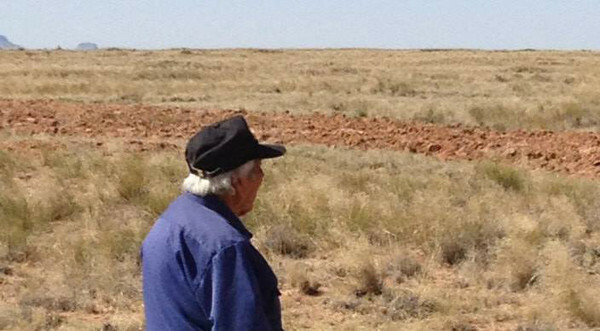 In 2014 the program was launched with a grant of 10 acres of land, awarded by the Kikmongwi (Village Chief) of Shungopavi Village on Second Mesa, AZ. We began farming land and successfully completed harvests for years 2014, 2015, 2016. Due to a severe drought in 2014, we were in dire need for irrigation of the crops in order to produce a harvest. This presented a problem since traditional Hopi Dry Farming does not allow for watering. After much counsel and wisdom from the Elders, the structured water system was developed and we proceeded to obtain additional permissions to use on the crops during drought. Together, we successfully designed and installed structured water irrigation systems in accordance with the spiritual leadership council. Many benefits were found with the primary one being the size and yield of the crops. 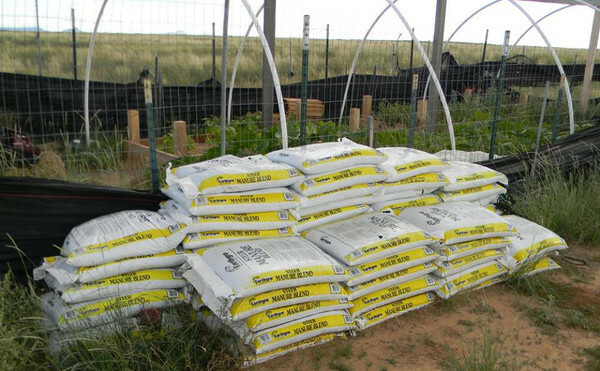 A precedent in modern Hopi Farming History. Due to higher demand in water, the community well, drawn from an underground acquirer, was now being overburdened and the old pump, powered by a windmill, finally gave out. We applied for a grant and obtained twelve 260 Watt Solar Panels with Racking, mounted and installed near the windmill, in order to help pump the new well motor, which we were also able to obtain with a grant. The massive amount of solar energy generated with these panels is not only enough reserve to power the well pump, but also any and all of our future projects in that field. In fact, we were forced to disconnect ¾ of the panels in order to keep them from burning out the electrical systems in the pump and well from over-feed. We continue to use the panel system today to power the well and pumps. A greenhouse was constructed in order to seed and practice workshops with the children during bad weather and during the colder months. Seedlings like tomatoes, chili, onions, and watermelon are able to be grown and nurtured from the windstorms, and cold nightly chill, until they are strong enough to be transplanted, increasing viability during drought. In 2015 we had a triple yield in our crops from the previous harvest in 2014. Through implementation of the structured water irrigation, the greenhouse, and the Natwanhoyum Tunatya we successfully received the blessing to continue to other villages in expansion of our program, and children from other villages were invited to participate. We continue to expand our programs and have begun projects planning in other villages on Hopi. Our goal is to continue the ripple effect that may turn into a wave. Inviting and visiting with other tribal and indigenous leaders from across the globe to collaborate is our mission and our continued effort to this date. How to remove and protect plants from pesticides, weeds and wind. Pray for rain to nurture life, and for blessings for all crops. Conduct talking circles on the Hopi values, culture and language with Elders. Harvest and roast sweet com in the fall. Normally only boys participated in field learning during times past. Today we have approval from Elders to include girls in our program to blend energies and bring about a balance. The Natwanhoyum participants are driven to the field site by volunteers to spent four hours planting, hoeing, and irrigating the field. Upon arrival, the children express their gratitude by yelling "QuaQuai (for Boys)/Asqwali (for Girls)" in Hopi (Thank You). 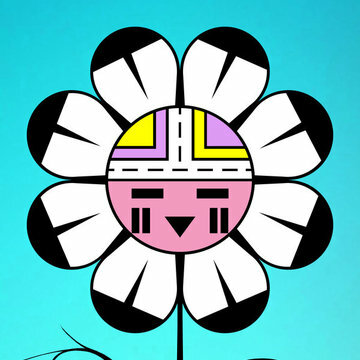 They run through the fields spreading positive vibrations as they appreciate the growth of their plants on a daily basis. After completing their chores on field, the youth pray for all life. On the ride home, singing Hopi songs is a part of the joy of the end of a good day. 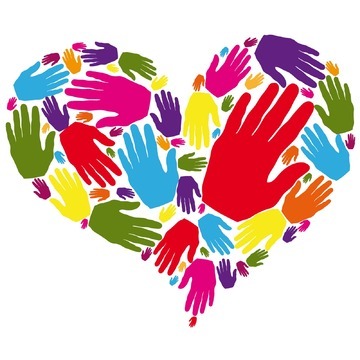 We accept monetary or in-kind donations for obtaining educational tools, planting, and building materials, farming tools like tractors and other equipment, etc. We have detailed wish-lists attached to this document in addition to posting up-to-date needs on our website and Facebook pages. (See Social Media Section for info). 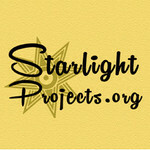 Starlight Projects Foundation hasn't posted any updates yet. We will send you a hand made pendant with prayers that will help protect you and yours. In addition to the benefits of GOOD SAMARITAN: Your choice of a paperback or ebook copy of the book "Return to Life! 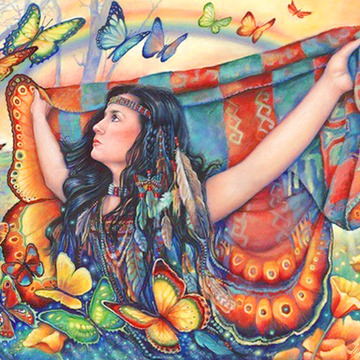 An Empowerment of the Spirit, by R.Krystaline Carbajal (HOPI Sister). In addition to the benefits of KINDRED SPIRIT: We will send you a Thank You Certificate officially from the HOPI Water Project for you to display, in addition to adding your name to our website and our social media page as a donor. 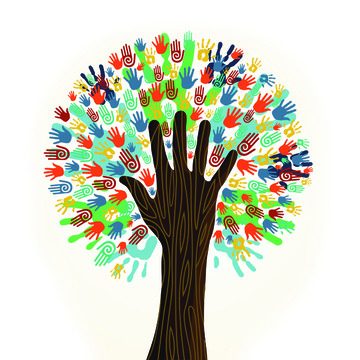 In addition to the benefits of NATIVE DREAMER: We will include the name of your business or your cause on our list of Community Partners and Sponsors on our website and our social media pages. In addition to the benefits of Community Partner: We can include your logo, cause, or organization's name and logo on our sponsorship list as well as on the official HOPI Water Project T-shirts. Starlight Projects Foundation is managing the funds for this campaign.